New Pokémon mini flash cart on sale! 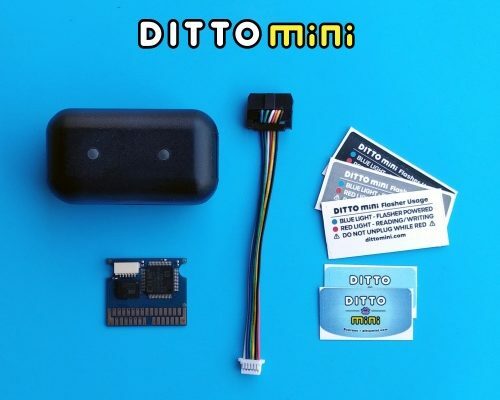 Meet DITTO mini, the latest Pokémon mini flash cart that has just been made available for development. Sale is being handled by a2heaven and will run until stock runs out. Get yours now and get started with the wonderful world of Pokémon mini development! For help on development, be sure to visit our discussion forum or stop by our chat.